Hidden cameras in Airbnb homes: Are they legal? In 2017, a couple staying in an Airbnb unit in Japan noticed a green light coming from the smoke detector in their bedroom as they were preparing for bed. Dismantling the device, they found out that the “smoke detector” was actually a well-disguised camera that had been recording everything in the bedroom. More worryingly, they found the exact model being sold online. They made a report to the police, who swiftly confiscated the device. Airbnb also banned the host. Being secretly filmed by a hidden camera is a traumatic experience for any unsuspecting traveller. And yet, this is occurring more frequently. In June 2018, a British couple renting an Airbnb unit in Canada was horrified to discover a spy camera hidden inside a digital clock pointed at their bed. 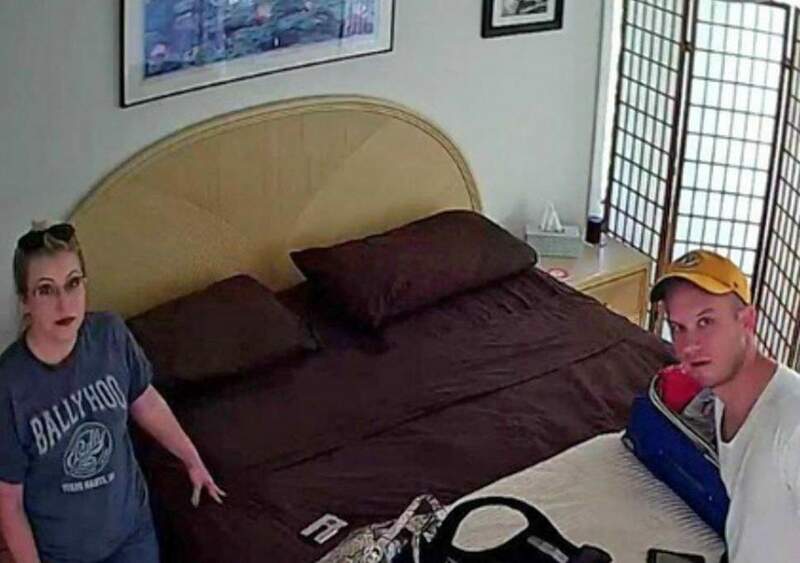 A couple staying in an Airbnb home in Florida found a hidden cam pointed at their bed. The host was charged for “video voyeurism”. Source. In another incident, a couple who rented an Airbnb in Florida found a hidden camera in the smoke detector aimed at their bed. Finally, a couple staying in an Airbnb unit in Taiwan found a camera hidden in the smoke detector in the bathroom. That guest decided to sue (see video below). These Airbnb incidents have raised the question: can hosts install surveillance devices in their properties? Does Airbnb allow hosts to install CCTVs in their properties? The short answer is yes, CCTV units are allowed in Airbnbs. One of the primary reasons for installing surveillance devices like CCTVs and webcams is for security. However, it’s also installed to help prevent burglaries and for the safety of guests. The CCTV footage can be used as evidence if the guest were to have an accident in the property. Surveillance devices are also handy for providing video proof against guest bad behaviour, such as smoking or partying. For example, this host in Portland expected 4 guests, but 25 turned up instead. She got them to clear out, but they retaliated by stealing USD700 (RM2933) worth of toiletries. The CCTV footage was used as evidence, and Airbnb agreed to cover her costs. But, there are limits as to where CCTVs can be installed. Airbnb’s hosting safely guidelines requires “all members of the Airbnb community to respect each other’s privacy”. Hosts must disclose all surveillance devices in their listings and are also not allowed to place any recording devices in private rooms, like bathrooms and sleeping areas. If a host fails to disclose their device, or only disclose it after booking, then you can report it to Airbnb and receive a refund. Unfortunately, the guidelines don’t mention anything about any other areas in the house (such as the living room or kitchen). So, recording in “non-private” areas is still technically allowed. But isn’t it an invasion of privacy? If you report an undeclared CCTV in the Airbnb you are staying in, you can get a refund. But, what about your legal rights? Is this an invasion of privacy according to Malaysian law? Unfortunately, we do not have any laws against voyeurism too. Voyeurism is the act of spying someone either by watching, photographing, or recording a private act without consent, or for sexual gratification. So, while it means you can’t sue someone for “invading your privacy”, you can always reference from past cases like Lew Cha Paw & 11 Ors v Pua Yong Yong & Anor  and Toh See Wei v Teddric Jon Mohr & Anor  if you want to take action. Still, you should make a police report because more often than not, you’re likely to claim for damages. Is it against the Personal Data Protection Act 2010? Some of you might be aware of the Personal Data Protection Act 2010. Basically, the Personal Data Protection Act 2010 protects your private information (e.g: name, home address, email address, and phone number) from being used for commercial reasons. For example, it’s illegal for banks to sell your information to telemarketers. Companies or an individual that possesses your data, also cannot disclose your information without your consent. If an organisation or individual gains and uses your information without your consent or via illegal means, you can take legal action. And they could face heavy punishments. Unfortunately, unless the Airbnb host uses your information for commercial reasons, the act doesn’t cover the invasion of your privacy through CCTV recordings. If you’re a host, it’s natural to want to protect your possessions and property. But, if you install surveillance cameras in your property, you risk scaring off potential guests. Instead of installing cameras inside the house, place a camera by the front door so you can monitor how many guests come in and out of the house, as well as IDing their faces. The best way to ensure that you have reliable guests is to ask questions so you know their purpose of visit and plans. For example, some of them might accidentally “expose” themselves by revealing that they plan to bring extra guests. Other warning signs include guests that are invasive of your questions, and guests who only book to stay for one night. This could be that they’re using it for parties. And don’t forget to screen for documents such as IC, contact number, credit card number, photo, and other valid documents. Airbnb provides insurance coverage for up to USD 1 million for certain property damage. However, it doesn’t cover personal belongings. This includes artwork, collectables, jewellery, and ordinary wear and tear items. So, Airbnb recommends that you have your own private home insurance coverage for non-insured items. It’s important that you make your house rules as clear and specific as possible, including rules about smoking/drinking, extra guests, overall etiquette, and cleanliness. This helps to make it possible to cancel the reservation if guests don’t comply with your rules. These days, it’s easy to find cameras in any shape or form. And what’s even scarier is that you can easily buy these “spy cams”. “Cameras can be placed in alarm clocks, power adapters, light bulbs, smoke detectors, photo frames, stuffed animals, and mirrors. Most cameras are wireless, battery powered, and require no tech skills to install,” says Justin Lavelle, Chief Communications Officer of BeenVerified, according to The Zebra. Switch off all the lights in the room. Then use a torchlight (you can also use your phone’s torchlight), and scan around the room. You may be able to detect whether a room has a hidden camera installed if the lens reflects your light. Remember, these cameras are well-disguised to look like normal, everyday objects. But, if you notice something strange – such as a black hole next to the smoke detector, or an unusually heavy shower gel bottle – then you might want to take a closer look. 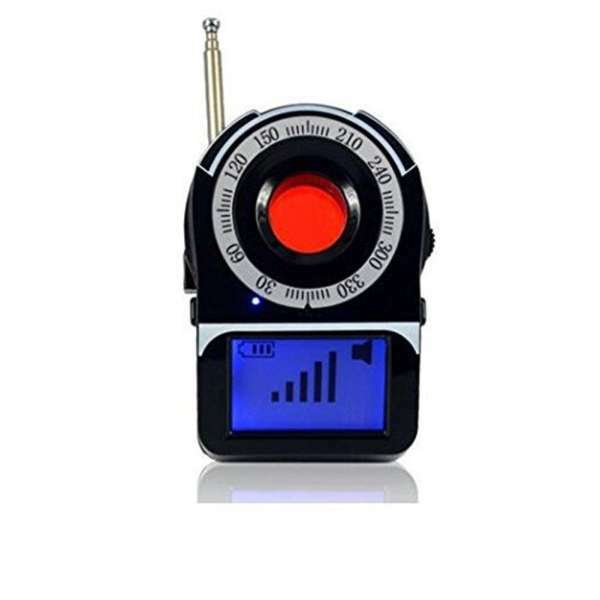 Portable anti-spy camera detector. Source. If you want to be extra cautious, invest in anti-spy cams. These detectors work by detecting radio frequency emitted by wireless and wired cameras. However, they don’t work for cameras with internal storage. Or, you can download apps like Hidden Camera Detector and Glint Finder to help you scan for sneaky devices. It’s not illegal to install a CCTV in an Airbnb unit, but the host must inform the guests beforehand. And, Airbnb rules state that it cannot be installed in the bathrooms or bedrooms. If a CCTV is detected in the bathroom or bedroom, it can be considered an invasion of privacy, and you can report it. Unfortunately, there is no clear legislation around this, so taking legal action may be a long and drawn out process. For Airbnb hosts, it pays to be a transparent host, and declaring any CCTV or recording devices beforehand. It’s not worth being overly paranoid and hiding spy cams all over your unit in the hopes of catching rule-breakers. Instead, focus on giving your guests a memorable experience so that you get a positive review. If you need help to beautify your rental property in Malaysia, you can find local interior designers at Recommend.my. 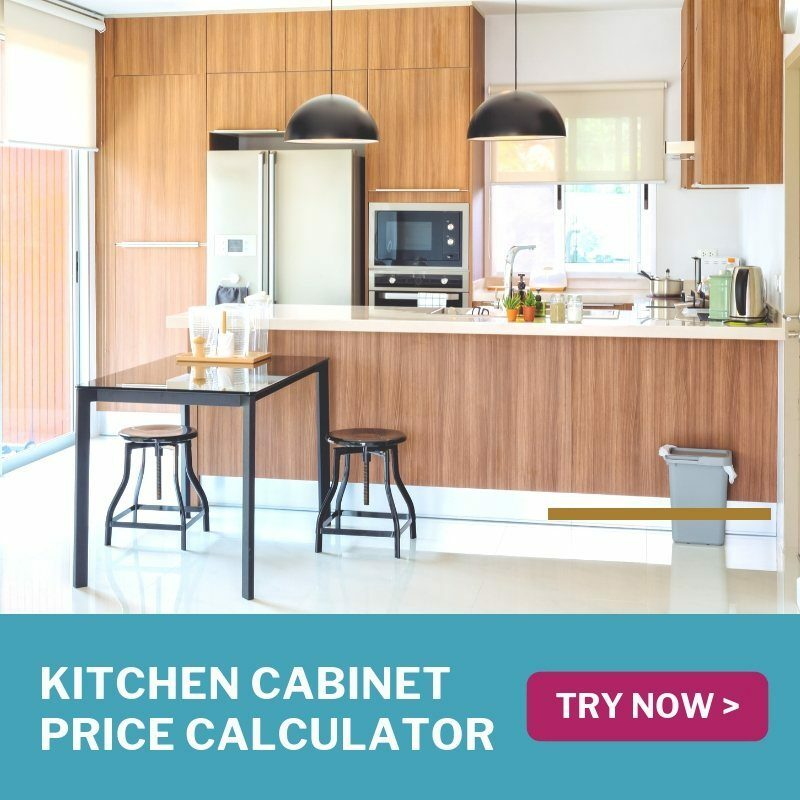 Recommend.my connects you with some of Malaysia’s best interior designers and is free-to-use. All you need to do is to send in your request online, and pros will respond by providing price estimates. Then, compare and decide who you want to hire. 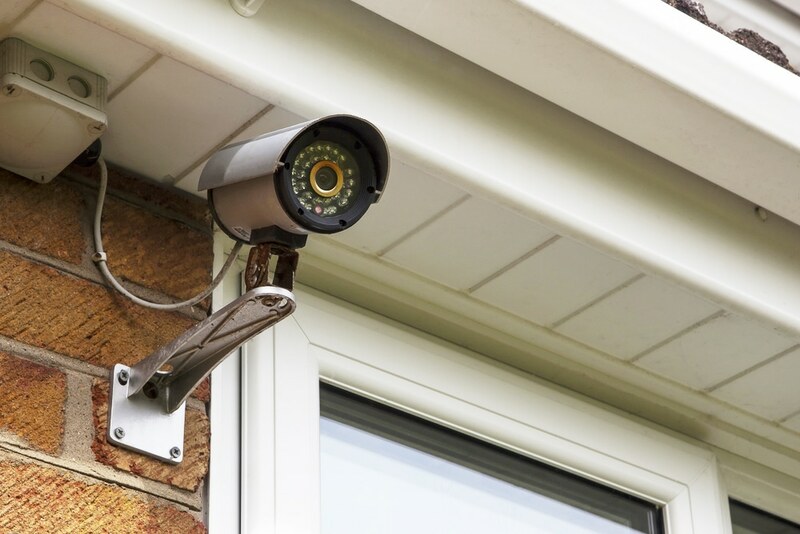 Or, if you really need to install security cameras in your property, you can also get free price estimates from CCTV camera experts at Recommend.my.